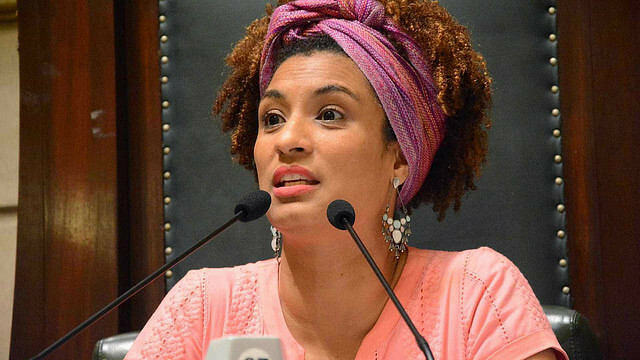 Brazil’s Chamber of Deputies approved last Tuesday a request to have federal law enforcement take the investigations into the murder of Rio de Janeiro councilwoman Marielle Franco and driver Anderson Gomes from local and state authorities. The request was unanimously authorized by a committee that is overseeing the case and does not need to be passed on the lower house floor. An official communication will be submitted to the Federal Attorney General, which must submit a petition to the Superior Court of Justice (STJ). The final decision about changing jurisdictions is the STJ’s to make. The author of the request, congresswoman Maria do Rosário, pointed out the petition is based on precedents set by the court itself to allow federal authorities to take over criminal investigations when there is evidence of human rights violations. In 2005, the STJ ruled that federal law enforcement should take over the case of human rights defender Manuel Matos, who was killed after exposing a vigilante group that operated in the northeastern states of Pernambuco and Paraíba. Now Maria do Rosário points out the murder of Marielle Franco and Anderson Gomes has similar elements and requires extensive investigation. The congresswoman argued that federal authorities must be accountable for what happened. “The Brazilian State as a whole is responsible for finding out who killed Marielle, who ordered the murder, who executed it, who paid for it, and what these murders mean, and so far we haven’t seen an appropriate [investigation] to make this happen,” she added. After a Federal Police investigation was launched last Thursday, two official, concurrent investigations are now being conducted – the other by state authorities. If the STJ rules in favor of the committee’s request, the Federal Police and the Federal Prosecution Service will officially take over the investigations. Marielle Franco and Anderson Gomes were murdered in March 14 in downtown Rio de Janeiro.